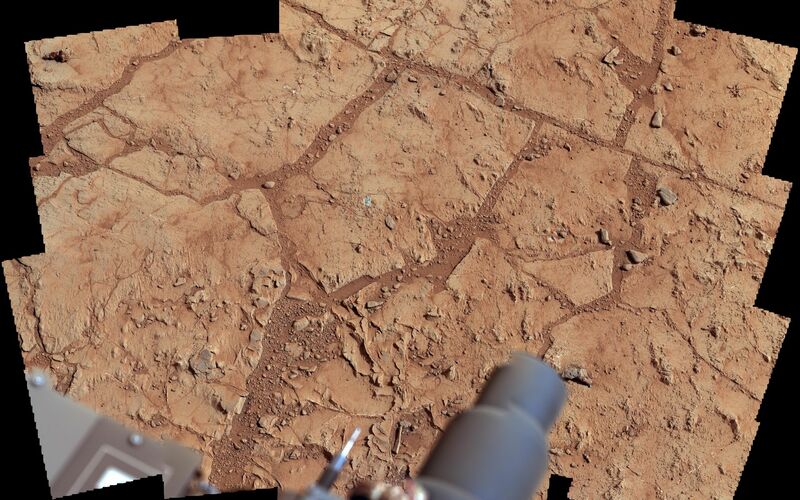 NASA's Mars rover Curiosity used its Mast Camera (Mastcam) to take the images combined into this mosaic of the drill area, called "John Klein." 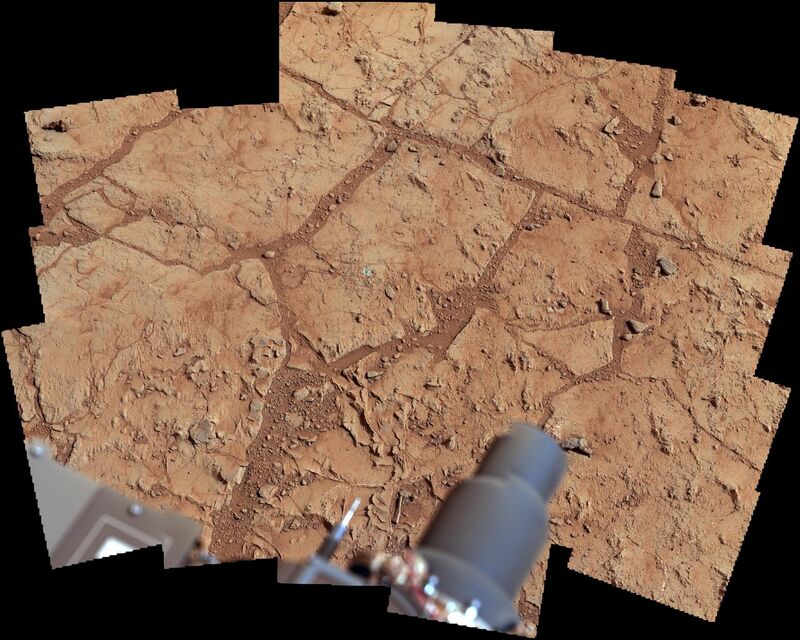 The label "Drill" indicates where the rover ultimately performed its first sample drilling. 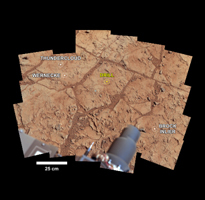 Shown on this mosaic are the four targets that were considered for drilling, all of which were analyzed by Curiosity's instrument suite. 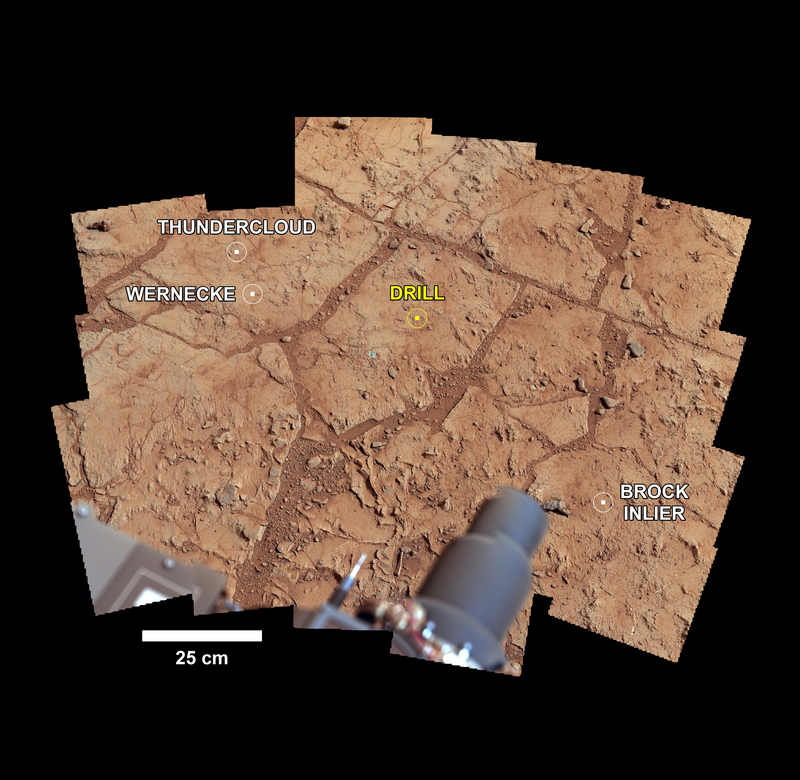 At "Brock Inlier," data from the Alpha Particle X-ray Spectrometer (APXS) and images from the Mars Hand Lens imager (MAHLI) were collected. The target "Wernecke" was brushed by the Dust Removal Tool (DRT) with complementary APXS, MAHLI, and Chemistry and Camera (ChemCam) analyses. Target "Thundercloud" was the subject of the drill checkout test known as "percuss on rock." The target Drill was interrogated by APXS, MAHLI and ChemCam. The scene was imaged on Sol 166, the 166th Martian day of Curiosity's work on Mars (January 23, 2013). 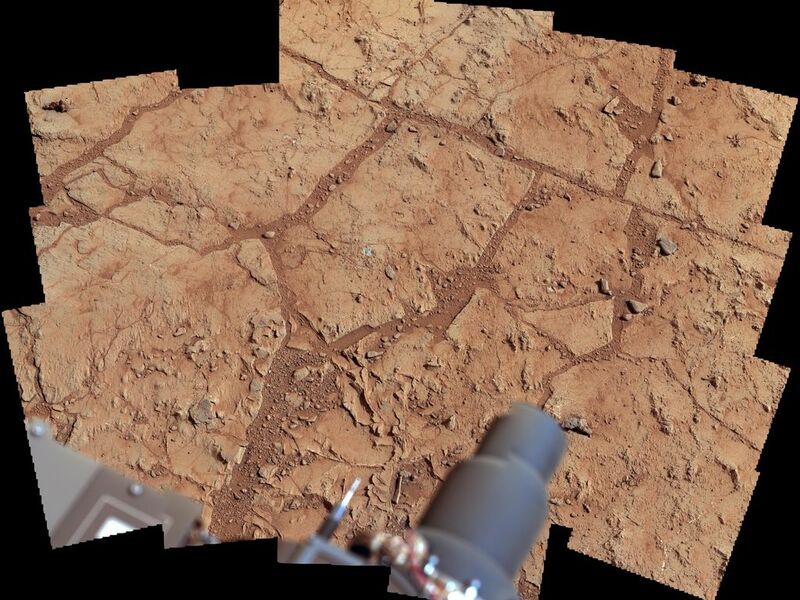 The color has been white-balanced to show what the rocks would like if they were on Earth. Photojournal Note: Also available is the full resolution JPEG file for the annotated version shown above PIA16686_full.jpg. This file may be too large to view from a browser; it can be downloaded onto your desktop by right-clicking on the previous link and viewed with image viewing software.